Everyone knows the bride is the star of the show on the wedding day, but that doesn’t mean the groom can’t enjoy a little pampering too! Suzanne Morel Face and Body Care offers many spa services that can help the groom and his best friends look and feel their best on the big day. After a long day of golfing or fishing, the groom and his buddies can spend the next morning at their private villa with a relaxing massage or men’s facial. Our spa therapists bring everything needed to create a luxurious spa ambiance in the comfort and privacy of Cabo’s finest private villas and resorts. 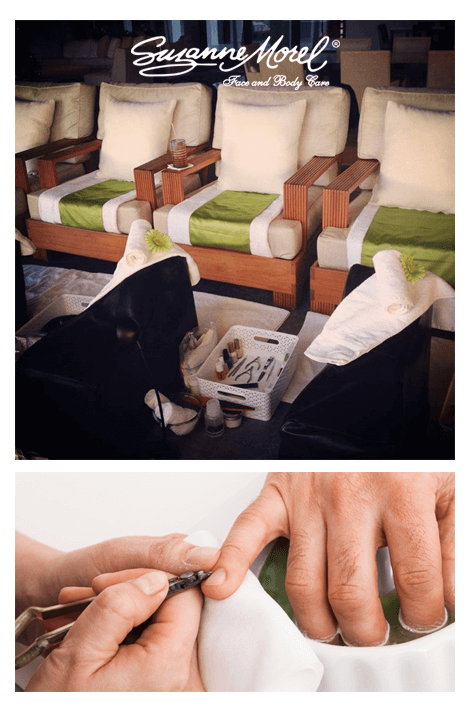 We also have men’s manicure and pedicure options for the grooms who might be wearing flip-flops in the sand on their wedding day. We can’t think of a better way to unwind than enjoying a spa pedicure by the pool or ocean in Los Cabos. This entry was posted in Spa Services and tagged Cabo fishing trip, Cabo golfing trip, Cabo luxury mobile spa, Cabo men's facial, Cabo men's grooming services, Cabo men's manicure, Cabo men's massage, Cabo men's pedicure, Cabo men's spa, Cabo men's vacation, Cabo private villa spa services, Cabo spa in villa, Cabo wedding groom services, Suzanne Morel mobile spa.